Carved into the drywall, this work takes the form of a permanently inscribed monument to clouds. 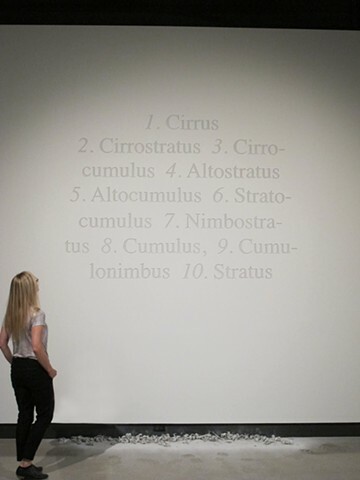 The words are arranged in a cloud-like fashion and are floated high upon the gallery wall. The debris from the carving of the letters has been allowed to fall and accumulate onto the gallery floor.